Through the yellowing rice paddies in the heartlands of South Korea lies Hahoe, a still-inhabited ancient village encircled by a snaking river and hidden by the surrounding mountains. Kept authentic by a UNESCO listing, Hahoe and the surrounding area is famous in Korea as the birthplace of the Maskdance Festival, where every year people flock to this tiny settlement to witness tales of the proletariat’s’ struggle against the corruption and hypocrisy of the ruling class. 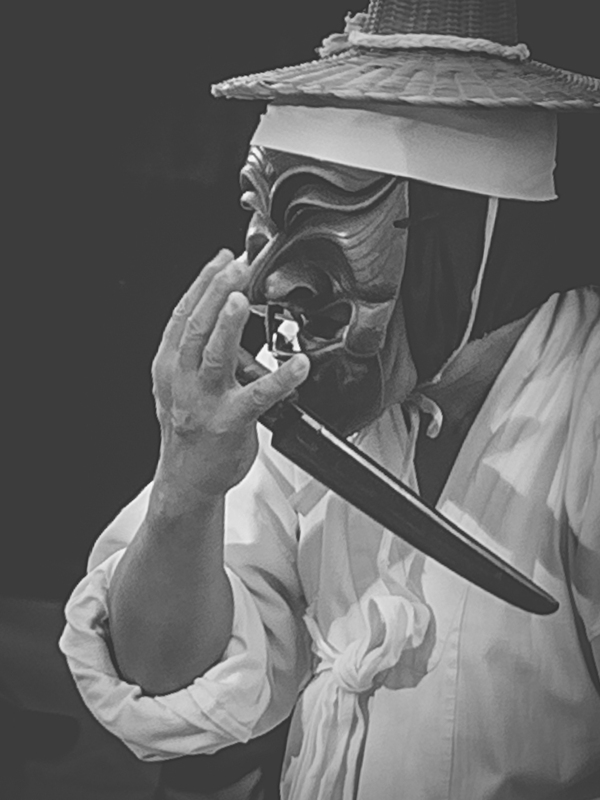 As the first act, Baekjeong, ‘The Butcher’, enters stage right, his mask resembling that of the modern day Anonymous movement, it’s clear that it’s not your typical traditional Korean festival. After violently stabbing a pantomime bull (representing capitalistic establishment) and gleefully ripping out it’s heart and testicles, the tone is set for similarly eye-opening tales of anger against societal corruption. Imae is the name of the next character, an eternally carefree chap. He appears oblivious, drunk, simple and hyperactive. He’s one of the herd, the eternally distracted and easily led. Ignorance is bliss. 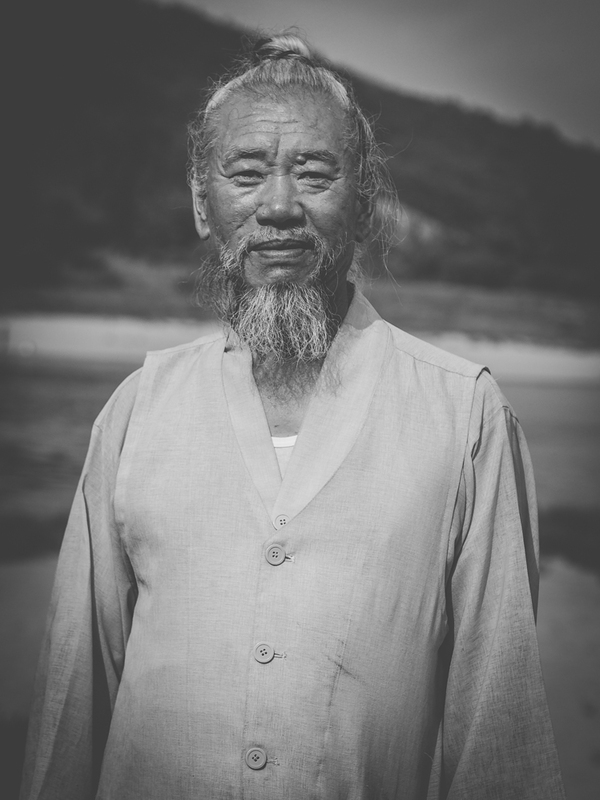 Jung is a monk who left his duties encumbered with a lifetime of sexual repression to unload. This is witnessed by the family audience as he harasses a lady he sees urinating, subsequently smearing her excretion on his face and savoring it’s smell. It’s a crude but amusing commentary on sexual politics and religion. 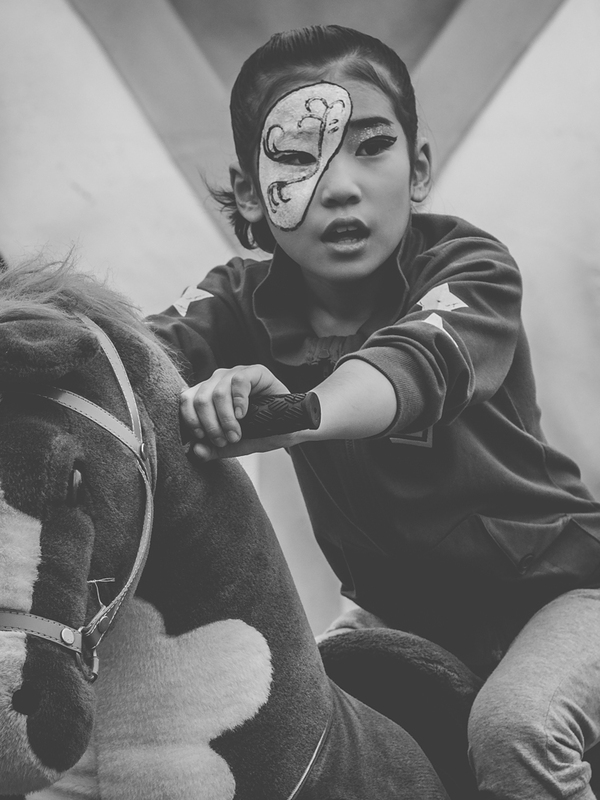 This isn’t your typical happy clappy Korean festival. It’s darkly humorous, disturbingly evocative, and contains universal themes of individual verses society that remain relevant today. 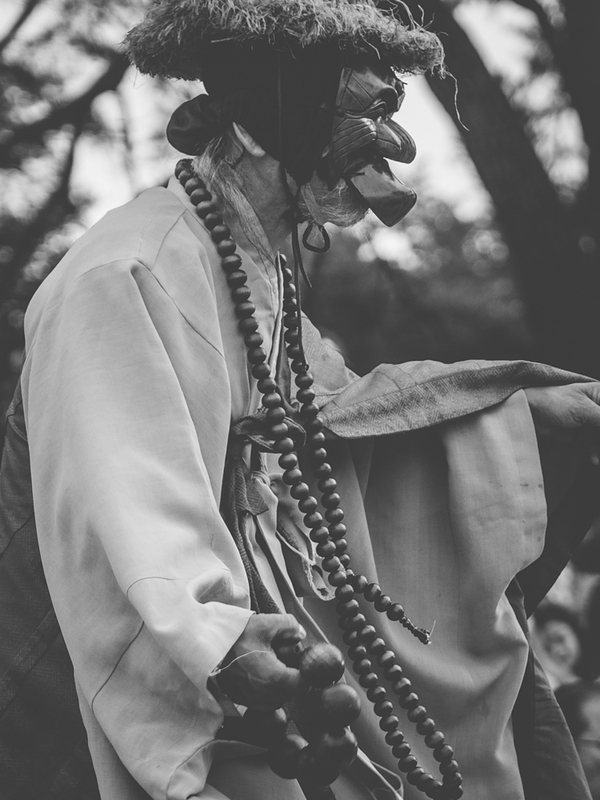 The perverted monk carried a contrastingly pleasant appearance and demeanor when he de-masked, looking every inch the ancient folk village dweller. 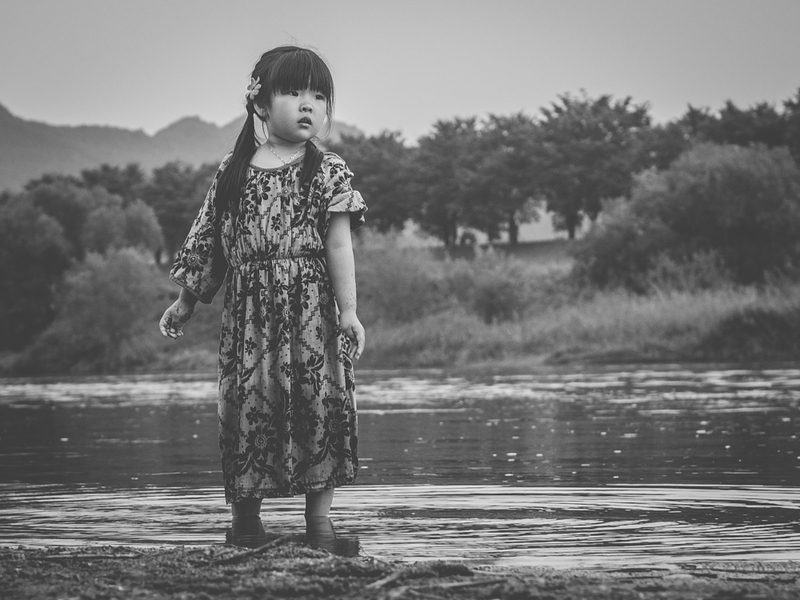 Across the river, a young girl in what appeared to be a South East Asian handmade dress played in the sand and an abandoned pair of shoes. 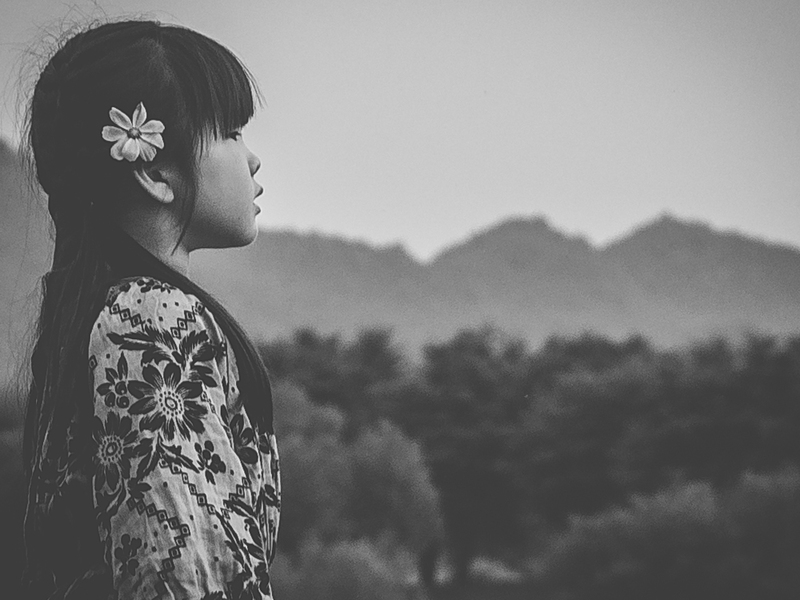 Her sister was standing in the river, head to the sky, entranced by the shamanic rhythms playing on the other side from the performances. With a flower in her hair and mud on her hands, she was a true hippy soul as she began to move with the drum beats. 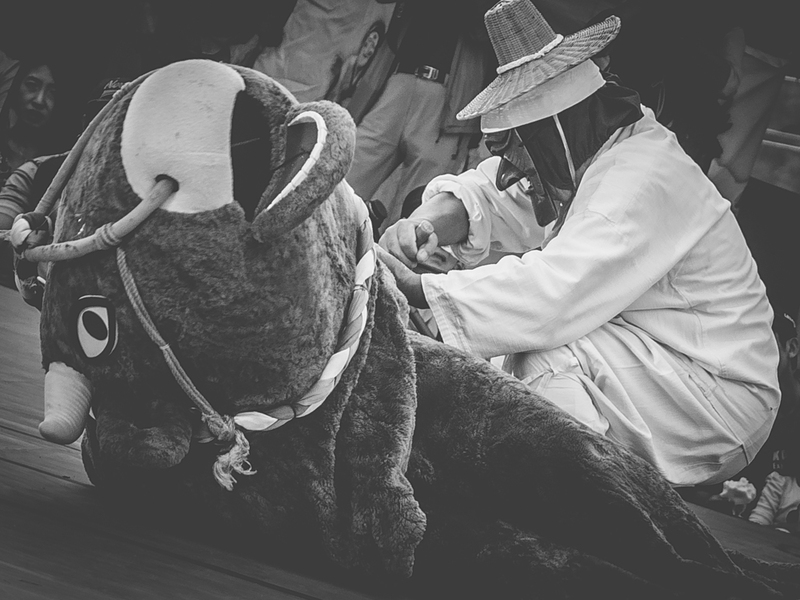 As it gradually evolved into a fully-entranced song and dance, it seemed that the spirit of the shaman remained alive and well in Hahoe. 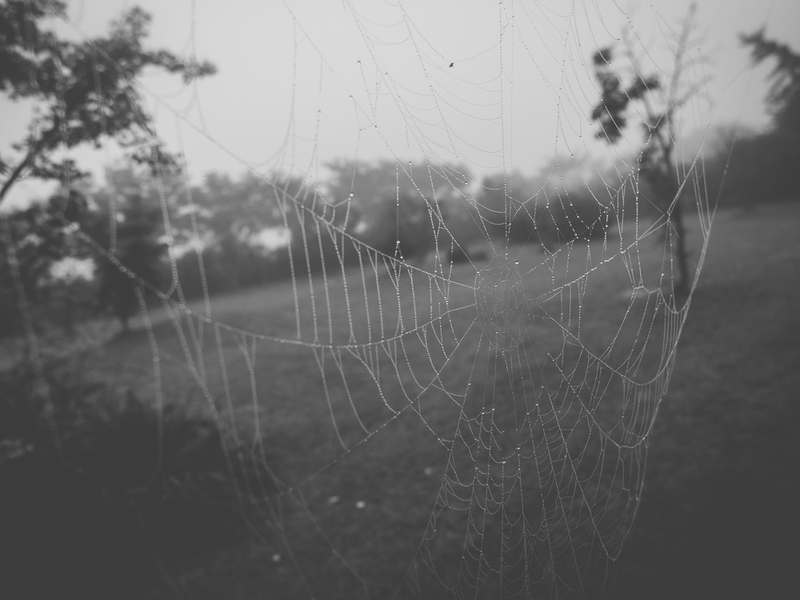 After a nights stay in the village, I took an early morning walk where mist crept through the alleys from the river, it’s dew illuminating thick spider webs, fully formed in the vast arachnid real estate of the countryside. Later that day at a nearby Confucian school I came across a man who had played the drums in the previous day’s performance. Sporting a pure and kind face, I was surprised to hear he was to play ‘The Butcher’ later that day. The unanimity of wearing a mask strips us of the constructed identity or ego has built, allowing us to express ourselves in new ways. 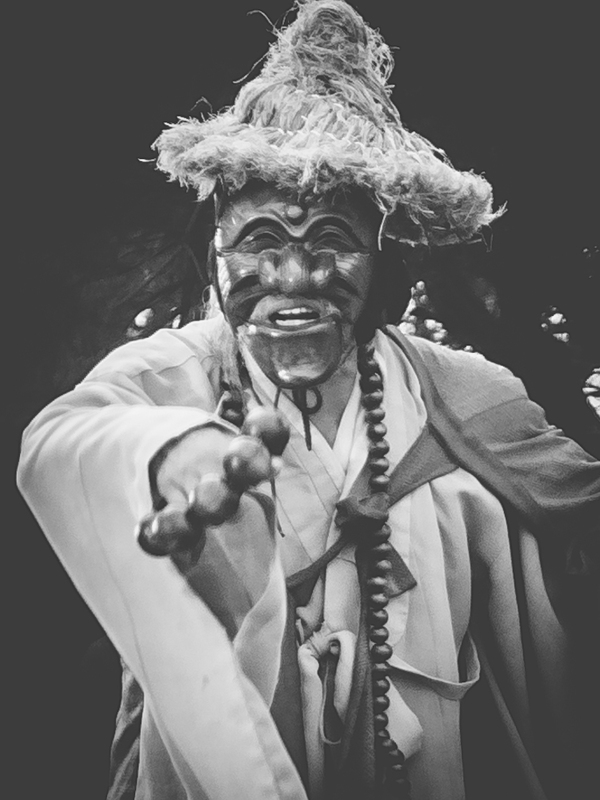 Whatever changes occur to the performer in that brief period of time, the storytelling spectacles at Andong are as vital today as they were back in the day. For regular updates from The Secret Map, join the Facebook page. Enjoyed this post? Here’s a ticket to The Living Museum.